I’ll admit it. When I was four years old, my favorite song was The Gambler by Kenny Rogers. I used to sing it all the time even though I had no idea what the lyrics really meant. One would think that would mark me as on the road to becoming a Poker prodigy but it never went beyond just singing along. My dad has always been a big poker player. He learned from his dad who most likely learned from his dad. He even got one of my sisters into playing. He likes to say Poker can teach you a lot about other people. This weekend we played Texas Hold ‘Em with our neighbors and even though 3 of the 4 of us were just learning how to play, I’d say we did learn a few things about each other. More than a few of us are pretty big bluffers. 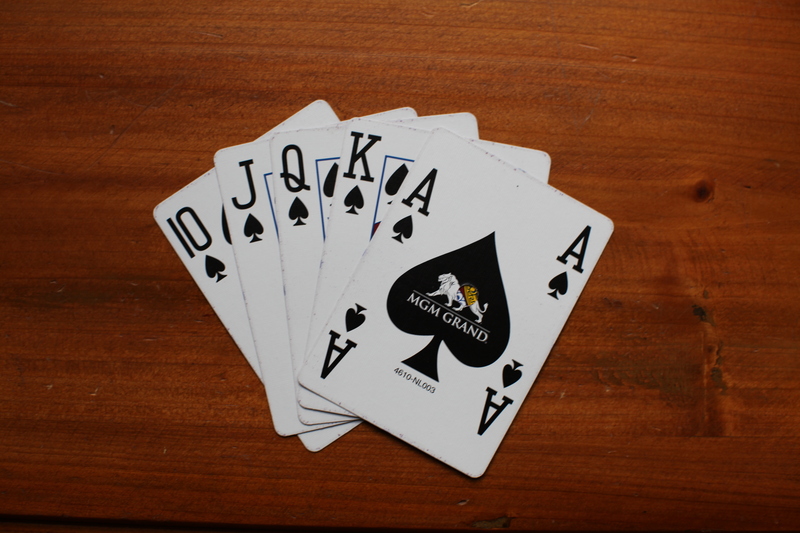 Poker is an interesting card game because while the cards you have are important, they don’t necessarily dictate who wins the game. Most of the big wins we had didn’t involve winning hands. The stakes were pretty low with our crew. I brought over 4 rolls of pennies we gambled with. Surprisingly the one out of us who actually knew how to play was the first one out. I guess it’s hard to bet against people who are completely erratic like we were. I imagine when you play with the same group over time you really do start learning their tricks and idiosyncrasies. Next time we’ll have to up the ante a bit. You are currently reading Hold ’em at 52 To Do.